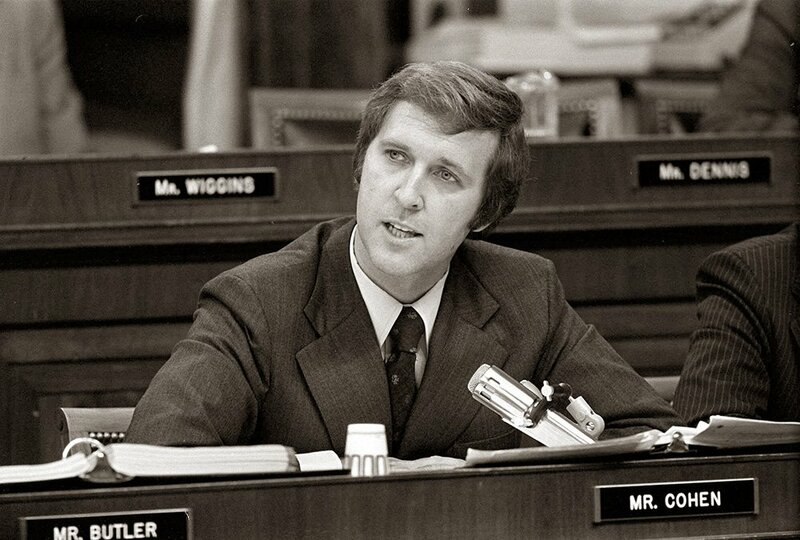 The future senator and secretary of defense was a 33-year-old freshman on the House Judiciary Committee when he found himself at the center of the impeachment of then-President Nixon. WASHINGTON — On a Saturday night in Lewiston, Maine, in the fall of 1973, a first-term Republican was seeking a moment of refuge from congressional duties. 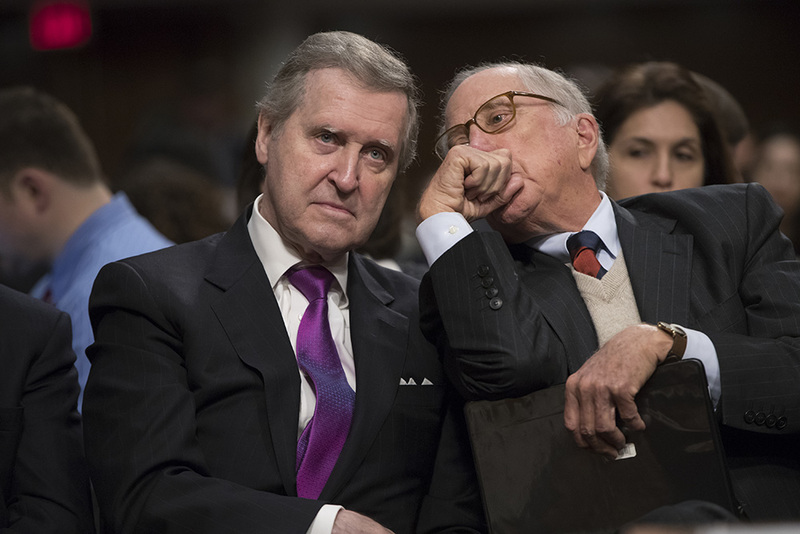 But during the intermission of a hockey game then-Rep. William Cohen was watching, a local reporter showed up to ask about the resignation of the United States attorney general. After realizing the news was true, Cohen also realized something else: that his life in Congress, and the nation’s history, were about to take a sharp turn. “I knew at that moment that this was going to be one of the most serious challenges I, and the nation, would ever face,” Cohen recalled of Richard M. Nixon’s “Saturday Night Massacre” in an interview this week. Long before he became the secretary of defense, well before his 18 years in the Senate, Cohen was a 33-year-old freshman on the House Judiciary Committee grappling with the impeachment of then-President Nixon. Cohen believes that today’s members of Congress must dedicate themselves in similar fashion to the task of learning what happened in the 2016 election – and whether any crimes, or high crimes, were committed by Trump’s campaign with Russian operatives. 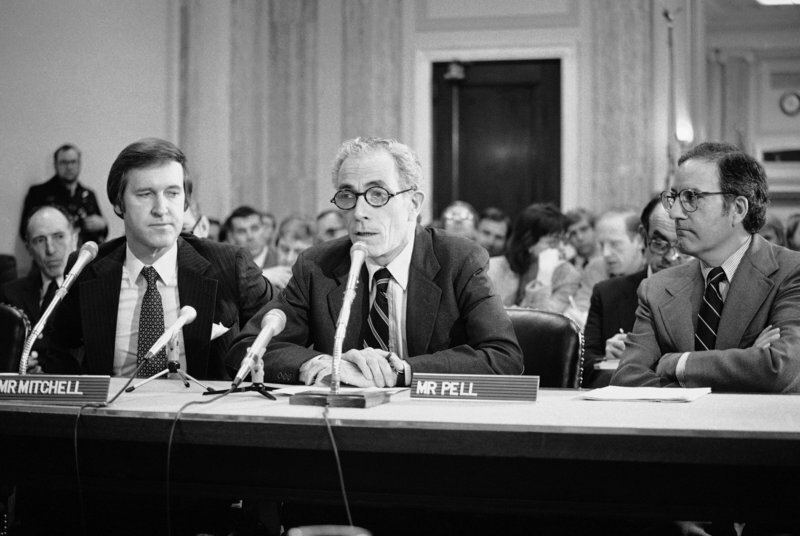 As a senator in the late 1980s, Cohen served on the committee that investigated the Iran-contra scandal, co-authoring a book, “Men of Zeal” with his fellow senator from Maine, George Mitchell, D, who also served on the panel. One of their lessons, rejecting an idea some are calling for today, was that it was a mistake to create a select Iran-contra committee with members of the House and Senate. “They come from very different cultures and traditions,” Cohen said. Mitchell and Cohen discovered the power of the cult of personality in the infancy of cable news coverage of major congressional investigations. Their star witness, Oliver North, the National Security Council aide who helped orchestrate arms sales to Iran, turned himself into a conservative icon with testimony that was built on showmanship. Fast forward 30 years, when a different personality rode his “love affair” with mass communications, from cable TV to social media, all the way to the White House. The single biggest difference between the Nixon impeachment and today’s environment, according to Cohen, is how social media has devalued major TV personalities and news organizations in delivering important messages to the public. The three-term senator from Maine, who now runs an international lobbying and consulting firm, believes it is too soon to talk about an impeachment trial for Trump. He said that the special counsel appointment of Robert Mueller was critical because the former FBI director has such credibility among Republicans and Democrats – giving Mueller a dual role of leading the investigation and also reassuring the public that it is a credible probe. Cohen backed several other Republicans in last year’s GOP primary and eventually endorsed Democrat Hillary Clinton, refusing to support Trump the moment he attacked the war-hero credentials of Sen. John McCain, R-Ariz., early in the campaign. Cohen served in McCain’s and his wife Cindy’s wedding party. Surviving West Wing constitutional crises often requires major course corrections – sometimes on policy, sometimes on personnel, sometimes both. Before the Iran-contra hearings began in 1987, President Reagan delivered a prime-time speech admitting some mistakes. He also orchestrated a major staff shake-up. “Reagan made changes and he accepted responsibility,” Cohen said. Today’s investigations are rooted in the House and Senate intelligence committees, panels that were created in Watergate’s wake. There were early signs of sharp partisanship, but each panel remains optimistic about meeting the challenge. “There are members in both parties and both houses who will follow the facts. Right now we don’t know where the facts are going to lead,” said Sen. Angus King, I-Maine, a longtime friend of Cohen. King was a Democratic staffer in the Senate during Watergate and now serves on the Intelligence Committee. “There are members in both parties and both houses who will follow the facts. Right now we don’t know where the facts are going to lead,” said Sen. Angus King, I-Maine, a longtime friend of Cohen. King was a Democratic staffer in the Senate during Watergate and now serves on the Intelligence Committee. He and Sen. Susan Collins, R-Maine, who was an intern on Cohen’s staff in the summer of 1974, have forged a bipartisan bond on this investigation in a similar manner to the Cohen-Mitchell relationship during Iran-Contra. “I don’t think you can say that things have changed so much that there aren’t thoughtful, serious, responsible people. There are such people,” he said. Cohen recalls key impeachment meetings as if they took place last month. The fight over securing the secret tapes of Nixon’s White House discussions served as his breaking point. A senior Republican on the Judiciary Committee asked for a show of hands who would join their partisan stand opposing Democratic requests for a letter demanding the full tapes. “I left the room,” Cohen said. He called the chairman, Peter Rodino, D-N.J., and began negotiating with Democrats, culminating in a meeting with two Southern conservative Democrats and a handful of Republicans. They formed the critical bloc that would determine Nixon’s fate. Over coffee and bagels, Rep. Walter Flowers, D-Ala., told the group they needed to “shake things up” and not leave until they settled on which articles of impeachment they would support. Two articles won the backing of the group, the two that passed on 27-to-11 votes in committee in late July 1974. Less than two weeks later, Nixon resigned. Once Nixon resigned, Republicans rallied around Cohen, as did most independents. He won in a landslide and went on to the Senate in 1979 and the Pentagon in 1997.